When testing and diagnosing the operation and performance of an HVAC system, the timing and measurement are critical. Ideally, the system should be calling for full heating or cooling, and fan speed so it can reach a stable operating condition. Let’s take a closer look at what constitutes stable operating conditions so your test data allows you to accurately diagnose the performance and operation of your systems. Why is Stability So Important? Say you’re measuring the temperature rise across a furnace. 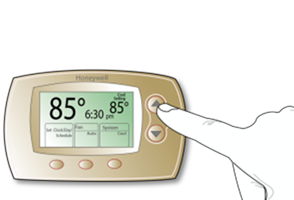 You set the thermostat to 85º F, and insert your temperature probes in the return and supply plenums. The return air temperature measures 70º F and supply air temperature measures 105º F. You subtract return from supply temperatures to find a 35º F temperature rise across the furnace. You record the Delta T on the service record and you’re on your way. Good job, you measured. But let’s look a little deeper into the conditions surrounding this test to be sure your measurement is accurate and reliable by asking a few questions. Since temperature rise is highly dependent on airflow, did fan airflow match the specified airflow? If the system specifies 1400 cfm to deliver a 35º F temperature rise, what if the actual fan airflow is only 980 cfm and the temperature rise is still only 35º F? This would indicate a far less efficient level of system performance. over 12 minutes? If the fan ramps up during first stage and delivers 700 cfm at the time of the test, this also affects your ability to accurately interpret the temperature rise. How about if you were delayed in taking your temperature readings and the unit has tripped the high limit? What if it is no longer producing heat with the temperature rise dropping when you took your reading? This condition would also affect your ability to interpret the reading. If you took your measurements too soon and the heat exchanger and duct system hadn’t yet warmed up completely, could this cause an inaccurate reading? Sure it could. Accurate testing requires the timing and test conditions to be right to accurately interpret the operation and performance of the system. If timing and conditions are off, your diagnosis may not be worth the paper it’s written on. Is Run Time a Good Indicator? If you look to installation instructions, a common recommended run time for cooling or heat pump systems to stabilize is 15 minutes before testing and adjusting refrigerant charge. Some single-stage gas heating equipment installation instructions call for as little as five minutes before temperature testing can be completed. The burner ignites and the heat exchanger warms up quickly. The fan starts at its programmed speed and because the delta T is so high, the duct system warms up quickly. Five minutes of run time is probably sufficient for this type of system. During spring and fall, the load on a building may be so low, that the system may cycle off before the testing can be completed. System run time gets much trickier when multi-stage equipment and variable speed fans are present. You can program some fans to ramp up at three or more speeds over a 12-minute time period. The various stages of heating or cooling may take as long or longer to cycle through until the system reaches full capacity. While testing any furnace, to be sure the fan is at full speed and temperatures have stabilized, wait five minutes after the fan turns on and fully ramps up. For the examples given above, the total wait time might be as low as six minutes for a typical single-stage furnace. Or it can be as long as 17 minutes for a system with a 12-minute fan ramp up time. Each system you visit may be different, so make an effort to understand the sequence of operation to determine when to test. While minimum minutes of run time are a good rule of thumb, the expertise, and judgment of the technician are also essential for determining the right moment to test. operating, the heat is on and the temperature is constantly rising. The temperature rises quickly at first, then slows down. Our goal is to test after the rate of temperature change slows down. Consider your testing like a single frame of a motion picture when searching for a reliable test condition. Take and record test data from the frame best representing the segment of the motion picture you are describing. 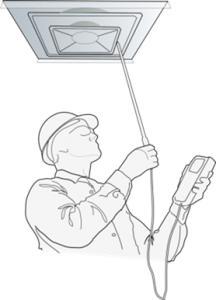 Incorporate this idea in the field by watching the readout on your temperature instruments as the system runs. When you start to see no more than two tenths of a degree variation in temperature change through the equipment over about a 10-second window, it’s time to begin capturing temperature data as quickly as possible. In addition to test timing, specific test conditions of fan speed and equipment function must be present at the moment of testing. When testing or measuring airflow, assure the fan is receiving a signal from the controls or thermostat calling for full heating or cooling. Be sure the fan is fully ramped up. This is critical when measuring system static pressures. It guarantees the system is doing all it can to deliver required airflow under current conditions. Then you can test with confidence. When testing and measuring temperatures verify the controls and control board are actively calling for full equipment capacity when testing. Verify all stages are calling at the moment you conduct the test. This test condition is also important when taking electrical and Btu measurements. 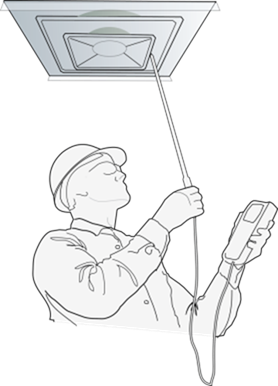 When measuring temperature in the spring or fall, building load may be low. Under these conditions, temperature will change quickly through the system and within the building. Under these test conditions your timing must be quick and accurate. Be patient. Wait to test until the rate of temperature change across the equipment slows. But don’t wait too long so indoor temperatures are outside of typical operating ranges. This may lead to a furnace shutting off on high limit or compressors beginning to unload. In summary, testing at the right time is critical for accurate performance and diagnostic measurements. For cooling systems, we recommend testing after 15 minutes of full cooling operation with the blower at full speed. For heating systems, we recommend testing five minutes after the blower turns on and comes to full speed. Low load conditions may result in very short windows of time for testing. Be aware and plan ahead if you are testing during shoulder seasons. In situations that won’t allow for the full recommended run times prior to testing, watch your measurements. Determine if temperatures stabilize quickly enough. This will permit testing before the unit shuts down or the space gets too warm or too cool to test. 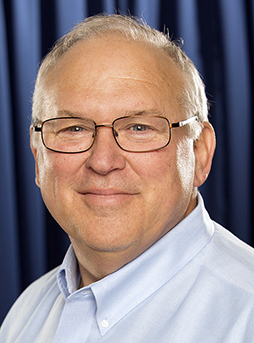 Rob “Doc” Falke serves the industry as president of National Comfort Institute. If you’re an HVAC contractor or technician interested in a free Temperature Testing Procedure, contact Doc at robf@ncihvac.com or call him at 800-633-7058. Go to NCI’s website at nationalcomfortinstitute.com for free information, articles, and downloads.